Kent H. Redford is the principal at Archipelago Consulting, established in 2011 and based in Portland, Maine. He was most recently Director of the WCS Institute and Vice President, Conservation Strategies at the Wildlife Conservation Society in New York. Archipelago Consulting has worked with a variety of clients including the Gordon and Betty Moore Foundation, the MacArthur Foundation, the Global Environment Facility, the US National Park Service and the Association of Zoos and Aquariums. Kent has led evaluations, been a team member on others, written commissioned papers and helped organize and run meetings. He has also initiated projects that were funded by others; the largest of which was a collaboration with Equilibrium Research to review the global status of private protected areas and make recommendations for their strengthening. This work culminated in an IUCN Technical Report Series publication and a set of workshops at the 2014 World Parks Congress. He also worked with Revive & Restore on a workshop to assess the possible application of genomic tools to wildlife conservation, helped organize a session at the World Conservation Congress in 2016 and led the organization of a session on conservation at the seventh meeting of Synthetic Biologists (SB 7.0) in Singapore in June 2017. He was asked by IUCN to assemble a Task Force and a Technical Subgroup to create an evidence-based assessment of the relationship between synthetic biology and conservation (completed late 2018); and oversee a process to develop a policy on this issue for the 2020 World Conservation Congress. Kent lived and traveled in the Middle East and Far East as a youth and completed his Bachelors at the University of California, Santa Cruz and his Doctorate at Harvard University. He held post-doctoral fellowship and faculty appointments at the University of Florida, in the Center for Latin American Studies and the Department of Wildlife Ecology and Conservation. Working with colleagues he established and helped run interdisciplinary graduate programs in conservation and development for students from tropical countries. In 1993 he left academia to join The Nature Conservancy where until 1997, he directed the Parks in Peril program and ran the conservation science department in the Latin American Division. 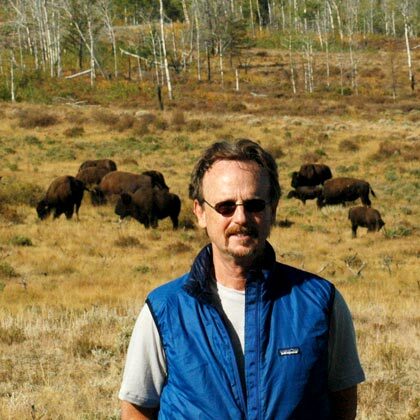 At TNC he helped develop guidelines for ecoregion-based conservation in the US and abroad and was a member of the Conservation Committee that developed a conservation mission for the whole organization. In 1997 he joined the Wildlife Conservation Society to work in the International Program on conservation strategy. He was then chosen to lead the WCS Institute, created to: 1) analyze conservation and academic trends that potentially challenge WCS’s mission or provide opportunities to further conservation effectiveness; and 2) to communicate strategically with significant stakeholders, including other conservation NGOs and the private sector. The Institute drew on WCS’s wide range of conservation issues, and disseminated WCS’s conservation work via papers and workshops, adding value to WCS’s discoveries and experience by sharing them with partner organizations, policy-makers, and the public. managing a WCS-wide Futures Group that allowed the institution to consider future global scenarios and take into account the most critical variables that could affect WCS’ mission. Through his career Kent has continued to actively publish on conservation practice and the biology of mammals. He has helped author and edit nine books, numerous working papers, and over 100 scientific articles. Kent has supervised or served on the committees of over 40 graduate students. He has consulted with numerous Foundations, the World Bank, and other conservation organizations. Kent now lives in Portland, Maine with his wife Pamela.